We protect, connect and restore wildlands and habitat for all native species, including “game” animals. And we champion iconic wildlife in our region, including native carnivores such as wolves, cougars and lynx. We also support science-based wildlife management and Fair Chase hunting according to the laws and regulations of the State of Washington. In fact, we have several passionate hunters on our staff. And we’re the Washington state affiliate organization of the National Wildlife Federation, America’s oldest and largest conservation alliance. As long as hunting opportunity is based on the science of animal population management, is done through Fair Chase ethics, and hunters hunt lawfully and ethically, responsibly utilizing their harvest, we respect that hunting is an important way some people choose to experience our natural heritage. We also deeply appreciate that sportsmen and women are among the leading contributors to conservation. Most hunters have a deep appreciation for wild areas and choose to take their passion further by becoming skilled at stalking, harvesting and cooking wild game animals. Hunters are also well-known for their efforts to pass on the importance of wildlife and wildlands to future generations. What’s more, revenue from hunting and fishing licenses as well as taxes on hunting and fishing equipment, firearms and ammunition, including funds from the Pittman-Robertson and Dingell-Johnson acts, are some of North America’s best tools for supporting wildlife conservation and recovery, acquiring and maintaining public lands for habitat and outdoor recreation, and funding state and federal wildlife agencies. Those who hunt and those who don’t hunt share much in common. Hunters and non-hunters alike enjoy the outdoors, care about local and sustainable food, relish hiking in fields and forests, and want to pass their knowledge on to younger generations. We welcome the support of both hunters and non-hunters in our efforts to keep the Northwest wild! We partner with a variety of sportsmen’s and hunting and angling conservation organizations to protect wildlands, connect habitat and restore wildlife in the Pacific Northwest. In Okanogan County, since 2014 we’ve partnered with organizations including the Mule Deer Foundation and the National Fish and Wildlife Foundation to protect and connect critical habitat for mule deer, sharp-tailed grouse, and other species in north-central Washington through the Working for Wildlife Initiative. This effort seeks to maintain the Okanogan’s working lands and wildlife heritage through land conservation, wildlife corridors, improved access for outdoor recreation (including hunting and horseback riding) and education about the importance of wildlife and wildlands. This project builds on our experience working to create wildlife corridors for deer, elk and other species in the Snoqualmie Pass area through our I-90 Wildlife Corridor Campaign. We also support and help fund efforts by state, federal and university researchers to better understand the impacts wolves have on deer, elk, moose and other ungulate populations. Carnivore conservation must be successful for all native wildlife, from wolves to species such as mule deer, which are in decline across much of Eastern Washington due to loss of winter range, fragmentation of migration corridors, and disease. Solid scientific data makes reaching this goal possible. To combat poaching, we offer standing rewards for information that leads to a poaching conviction in Washington state, with up to $7,500 available and even more in especially egregious cases. Whether it’s deer, elk or rare predators, poaching is an unacceptable abuse of our shared natural heritage. No matter how one feels about predators or other wildlife, poaching is never OK.
We’re also working with Eyes in the Woods, the Washington Department of Fish and Wildlife (WDFW) and other organizations to host trainings and seminars around the state to help hunters, anglers, horsemen and other citizens better report and reduce poaching, habitat destruction and natural resource abuses that hurt wildlife. Hunters including Theodore Roosevelt, John James Audubon and Aldo Leopold were some our nation’s first and most impactful conservationists, and their legacy lives on today. In Washington state and across the country, hunters contribute significant time, energy and funding for conservation causes. We deeply appreciate these efforts. Hunter and angler conservationists are an important part of our “conservation community”. 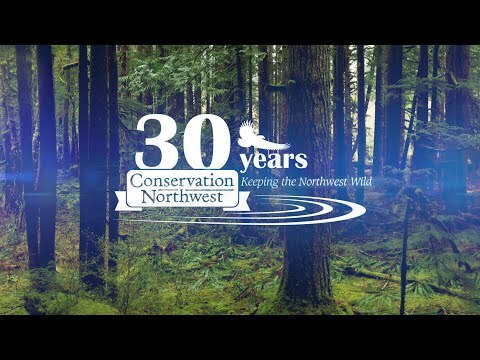 For an excellent overview of the “North American Model of Wildlife Conservation”, which includes fair-chase hunting, public access, bans on wastage of meat, and conservation-oriented wildlife management, we encourage you to watch this video from the Theodore Roosevelt Conservation Partnership. We’re working with organizations including the National Wildlife Federation, as well as state and federal wildlife agencies, to expand the conservation successes of the North American Model to “non-game” animals and other important native species. Learn more. Gaining a direct connection with food, nature and our human and natural heritage are among the primary reasons many people hunt. The recent movement to eat leaner protein and know exactly where it comes from has been a common practice among hunters for generations. Few food sources are as healthy and sustainable as wild, free-range “game” meat. Most hunters take enormous pride not only in taking an animal in the field, but in properly cleaning, processing and cooking their harvest so that they and their families can enjoy some of the best protein available anywhere.